I love leaves. A lot. 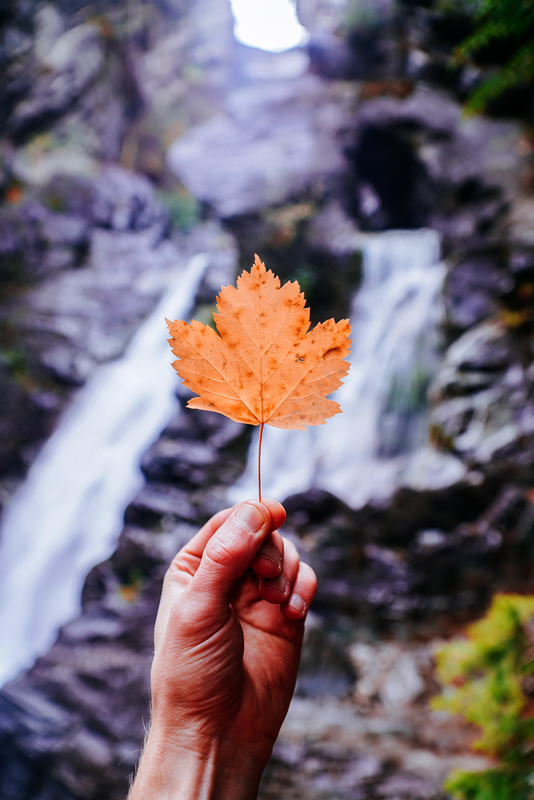 There have been many times when I’ve caught myself in the autumn months with a handful of orange, yellow and red leaves of all sizes figuring out how to preserve them. My notebooks have samples of leaves tucked in between pages that make a nice surprise when I stumble across them again. 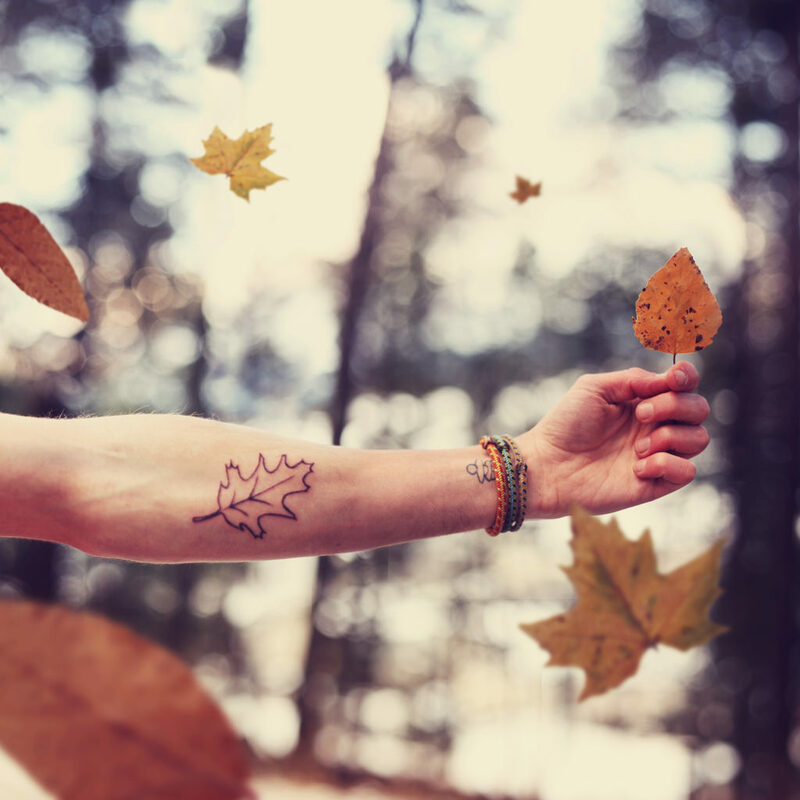 I even have a tattoo of an oak leaf that symbolizes my connection with the natural world around me. I’m not sure why I love them so much, the burst of colour is a huge reason I’m sure. A painting of all these bright vivid colours mixed with the satisfying crunch underfoot and that autumn smell that always reminded me of pumpkins and woodsmoke. Leaves represent that natural change that exists even in our modern world. We’ve controlled so much of our habitat but the leaves and the way they change is still their own. I would say I’m a seasonal person, I have always found that my moods, my personality, my habits are directly impacted by the seasons. Perhaps its because I spent most of my life in the mountains where we experienced all seasons deeply. Where winter was a blend of whites and baby blues and when those first buds of green start to pop up it means that warmth and longer days are on their way. Autumn to me signals the end of those longer days and the step toward a more Hygge way of life, comfortable and cozy and with many mugs of tea and warm socks. Those bright leaves invite me to spend more time soaking up the natural world around me, it’s like a natural dance showing off it’s final routine before curtain call. 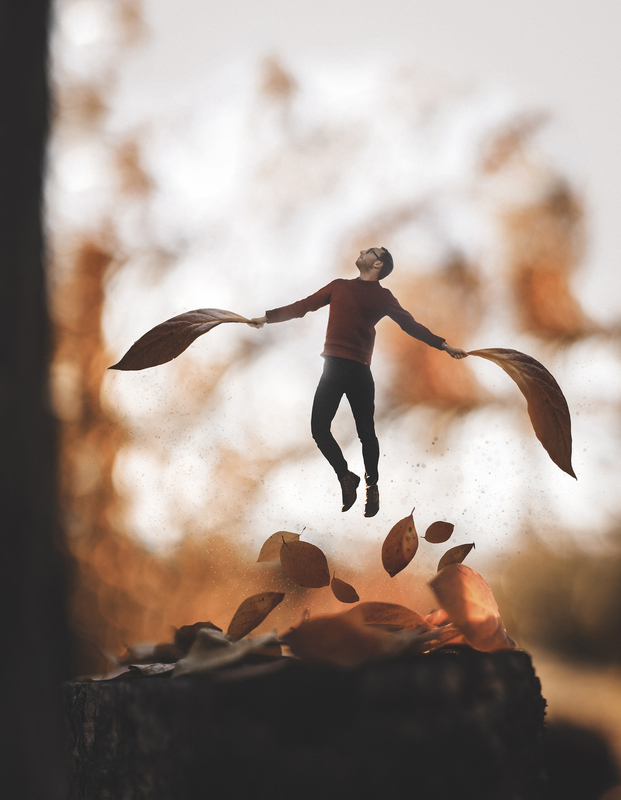 In my image for this week’s theme I wanted to create a concept that showed that excitement of the transition into autumn. I wanted to show both arriving and taking off into autumn. Using the leaves as a mode of transportation to really experience the autumn colours. I hope you enjoy the image and I can’t wait to see how you interpret the theme!